Gat bought the company’s first computer-numerically-controlled machining center in 2003. He purchased three more CNC machining centers as business grew, and continues to upgrade as new technology emerges. Here’s a quick look at the delivery of one of our CNC machining centers to the factory. High tech machining centers are perfect complements to skilled woodworkers enhancing quality, productivity and flexibility. In many production roles, people do a better job than machines. A trained woodworker selecting lumber for color and grain outperforms any machine and contributes dramatically to the beauty of a finished piece. In the finishing department, skilled hand-application of materials is executed in a state-of-the-art facility to achieve the best result. World-class spray equipment and booths, curing ovens and fans, in combination with an artisan’s eye, produce a rich, protective finish. 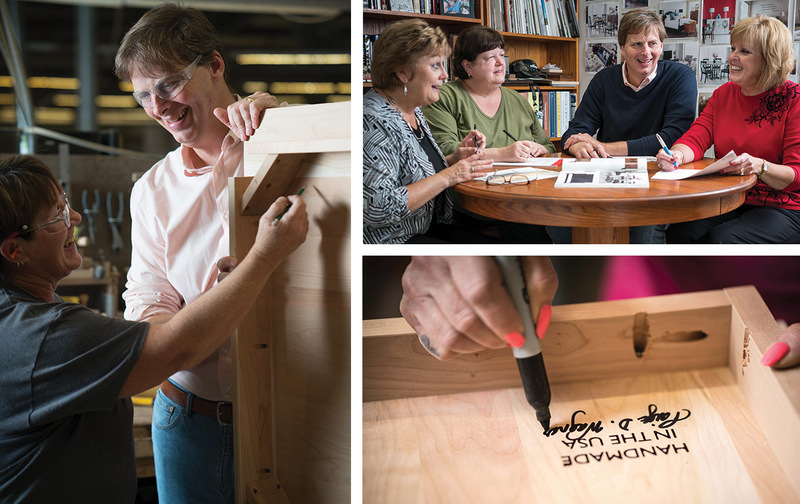 At Gat Creek, we provide meaningful work that is fulfilling and a source of pride. We are an employer of choice in our community. The average employee tenure is over 10 years, 53% of company employees are women and they occupy 75% of senior leadership positions. High quality, affordable health care insurance for employees and their families is a priority at Gat Creek. A company nurse is onsite every other week to provide coaching on healthy living. A collaborative approach, encouraging safety, participation and innovation, continuously improves the quality and value of our products. We are competing in a worldwide market and growing employment in West Virginia at double-digit rates over the past two years. 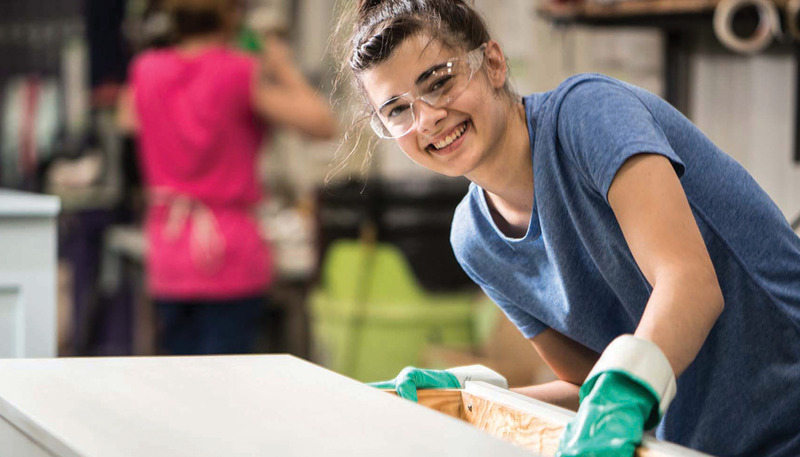 At Gat Creek, we believe running a furniture factory plays a major role in sustaining and building our community in the eastern panhandle of West Virginia. Manufacturing employment provides work that is suitable for people with a wide range of skills contributing to the local economy both directly and indirectly. Making products in the U.S. goes far deeper than an expression of patriotism and pride. Factories in small towns are not a quaint ideal; they are essential for our country’s future. Gat Creek employees are Sunday school teachers, volunteers on the fire department, and the spouse of our high school science teacher. They protect our safety and property, teach our children, and in many other ways, are integral to the social fabric of the local community.